Prince Alexander of Teck was the son of the Duke of Teck of the Kingdom of Wurttemburg. His sister was May, Princess Mary who was at first engaged to the Duke of Clarence, Prince Albert Victor, but he died in 1892 and she became engaged and married to the next in line to the throne, the Duke of York, future King George V. Alexander was the 4th and youngest child of the Duke and Duchess (Fat May, grand-daughter of George III). He was styled His Serene Highness but was called Alge, his mother's favourite. His time as a soldier was most active whilst he was a junior officer in the 7th Hussars, patrolling in Rhodesia and South Africa. But in 1904 he transferred to the Blues as a captain. In 1911 King George V became seriously concerned because the elite always went into the Blues, so that the impression was given that the 2nd Life Guards was an inferior regiment. To remedy this state of affairs the King decided that there should be an interchange of senior officers between the two regiments. Colonel Dawnay and Prince Alexander were amongst the first victims of this royal experiment, which was a great blow to Alexander, who had become deeply attached to his regiment. But after a while he changed his mind and settled down with his new companions. In the First World War he commanded the 2nd Life Guards in Flanders. On 14th April 1917 the royal family cut their German connections and the Tecks changed their name to Cambridge. For a short while Alexander was known as Sir Alexander Cambridge but later that year he became Lord Athlone and as such carried out his duties as Governor General, first of South Africa, and later Canada. 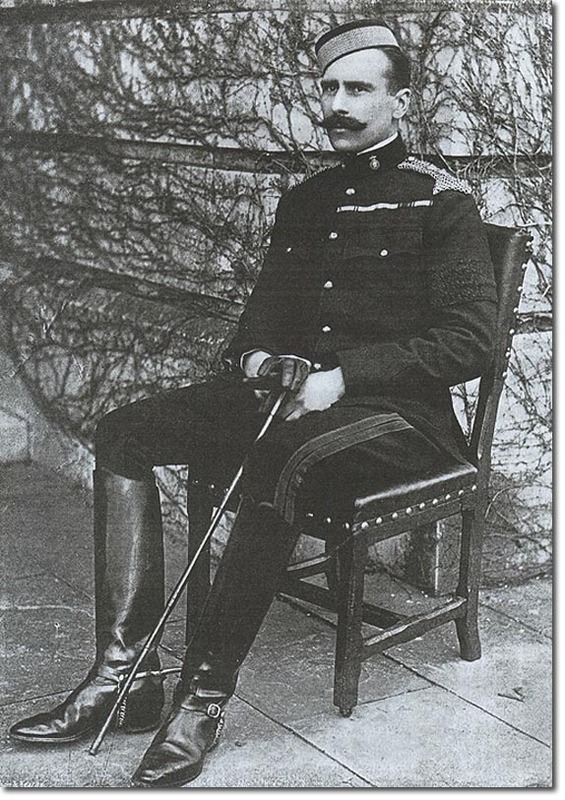 He was also Colonel of the 7th Hussars for 22 years and the Life Guards for 21 years. His marriage to Princess Alice of Albany produced three children but one of them died in infancy in 1910. This encouraged a strong connection between him and the Middlesex Hospital and brought about the establishment of the Athlone Committee in 1921.